A legendary place straight from the history, Hisar holds a rich past since the age of the Mauryas and the Tughlaqs. The city got its name from the famous emperor Firoz Shah Tughlaq. Presently, the city holds its name as counter-magnet city for Delhi NCR. Hisar has a mixed culture from Delhi, Punjab, and Haryana. The cosmopolitan lies close to Delhi and is a good place to hangout especially on weekends. The peaceful atmosphere of Hisar and the serene environment makes the place the favorite outing spot in Haryana. The place unfurls its true colors when entertainment bestows. The metropolitan city has some amazing places to seek for like clubs, discotheques, and more. But the most demanded points of interest are the MG Club and Resort and Splash Water Park in Hisar. Wandering around to cool your sweating body and overcome the hot weather of Hisar? Then do drop into the Splash water park Hisar, Haryana. 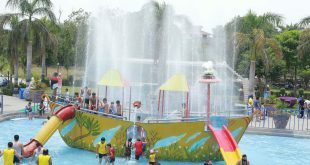 The entertainment park has two zones: the amusement zone and the water park zone. 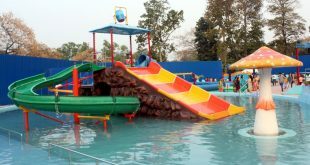 You can start your tour at this water park near Hisar traversing the water zone. The water rides are absolutely fun to try. The swimming pools are gigantic enough to bring a smile on your face. Dip your feet, dive, spill and swash water as much as you want in here. The water and body slides are numerous. Slide along with the water gushing at the surface at a great speed and splash into the pool with a huge dip. The grooves of the water slide will get your head reeling. Feel the slither as you try the tunnel tube rides. The steep slides will give you an uncontrolled speed and bring your adrenaline to rush. 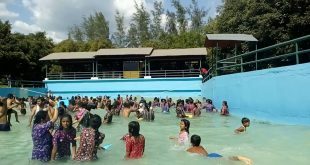 The wave pools will rejuvenate the feeling of being at the seashore. The wave pool is a perfect place to relax and lie on the pool while the waves wash away the stress. 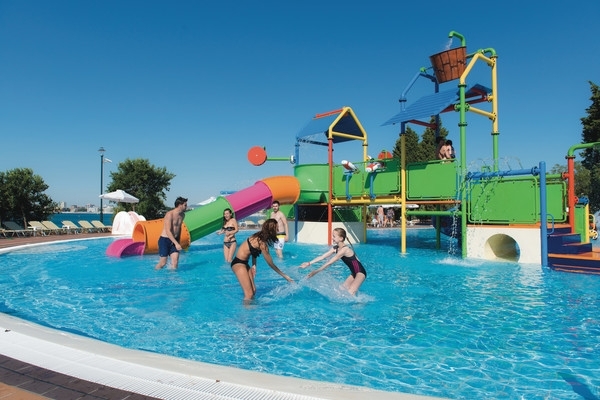 The kiddies’ pool is an astounding arena for the kids to have fun of different level. The family rides and multi-lane slides at this park are not to be missed. Get drenched under the mushroom waterfall. The amusement park section is yet another place to visit. The dry rides are awesome. Let your heart skip a beat at the giant wheel. The swings will take you back on a tour through the memory lane. 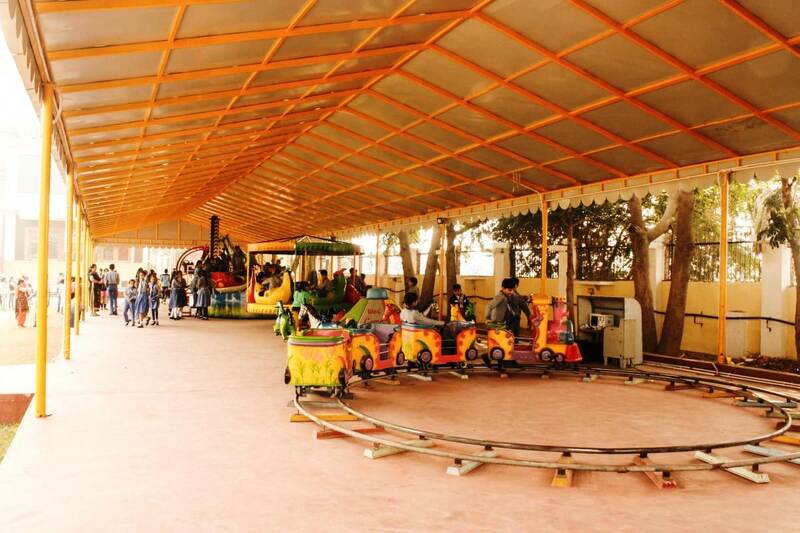 Kids will love the parody themed amusement park with a number of fun activities, merry-go-rounds and, play station. There are restaurants at this water park of Hisar that serve the classic Punjabi and Haryanvi delights. The park surroundings are beautifully maintained and give a picturesque view to capture. So, you can get some amazing pictures with your family and friends to take back home and remember it for a lifetime. The A one-day break to spend the weekend with your beloved at the water park is worth it. The water park will bring cheers to your life. 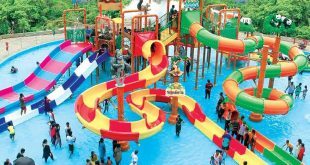 This is the best water park in Hisar without any doubts. The new water park in Hisar has no limits to the fun. The Water Park and resort is one of the best in the country. 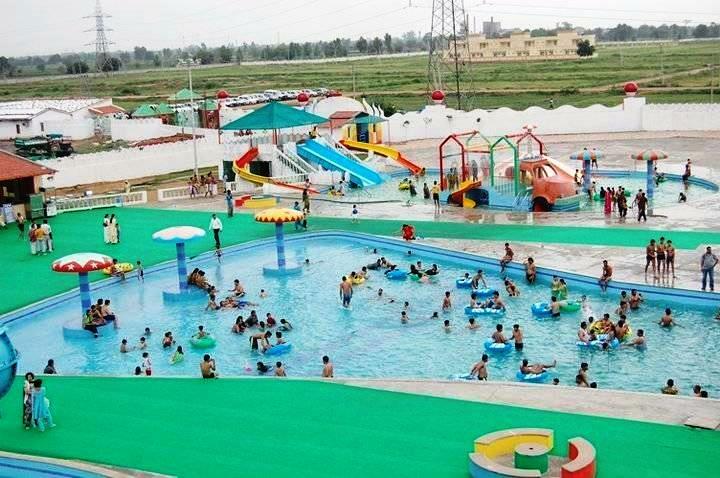 The high-end technology rides found at MG Water Park in Hisar are absolutely fun to try. There are innumerable options of water and dry slides. You might run out of energy but never out of the choices to endeavor. Slither and skate at the water rides from a great height and plunge into the swimming pool splashing water all around. The water slides are not any ordinary ones; the water slides will give you a bumpy ride on its surface as you glide down at a great speed with the gushing water. The tube tunnel rides are quite long. So, hold tight and breathe deep for the ride will definitely increase your heartbeat. You can nosedive deep into the swimming pool and swim like a fish as much as you desire. The kids can also have fun at a special pool meant for them. The amusement park of the resort is worth visiting. Traverse the entire area of the MG water park Hisar in the toy train. The giant wheels, swings, dragon rides, roller coasters, and much more, the water amusement park is all set to bring back the childhood memories and excitement in you. There is a section in this water park in Hisar where you can explore the Punjabi folk, their dance, culture, and Bhangra shows too. The amusement and water park at Hisar also organizes cable rides. You can try your luck with the fun activities, games, and sports and win exciting prizes. Enliven your kids even more by opting for camel’s ride. Forget how to drive and ride rash at the dashing cars station. That’s not all. The discotheques in the park are thrilling. Get set to show the moves you got along with the music beats of the DJ and music bands. The water amusement park also has outstanding restaurants to quench your hunger and satisfy your senses. One day might not be enough to enjoy the fun scenes at the park. Hence this place also arranges to stay for the guests. 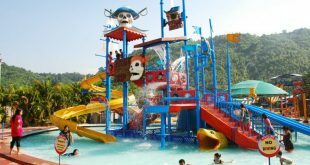 The water and amusement park in Hisar is one of the top-notch parks and is rated as one of the best parks in the state by the visitors themselves. The park aims at creating some of the golden memories for the holidaymakers. This place marks a perfect weekend that you always looked forward to. Take a break from the monotonous routine and fall in love with your life once again at any of the above-mentioned parks. 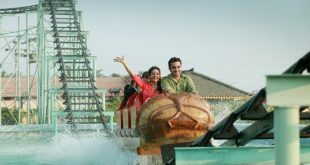 Feel lighter and rejoice the time from the core of your heart at the water amusement parks in Hisar. Take back home memories and jocular impression about the city. The energetic vibes of the people of Haryana are filled in the air. 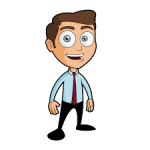 Visit and experience the level of fun by your own.